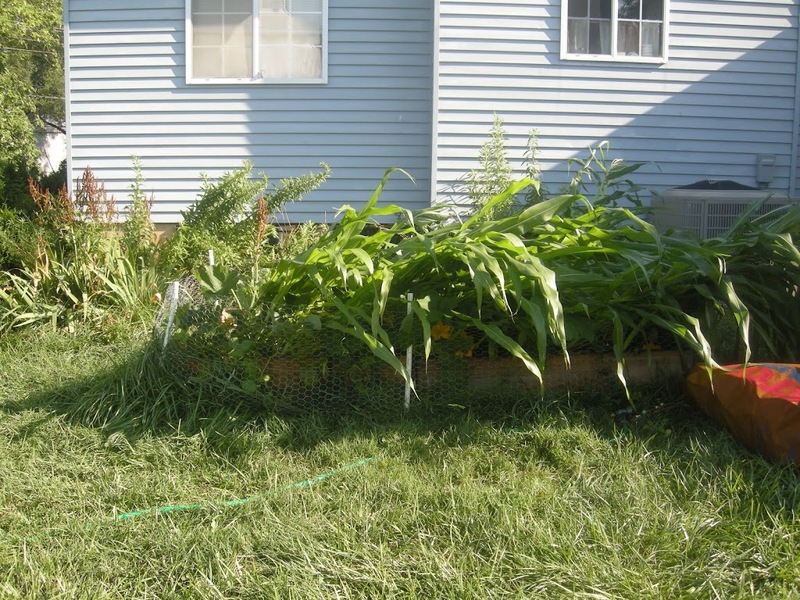 Well, I was ready to write an update about the garden and how it was doing… but then some sort of crazy super derecho came through and changed it all. So I’ll do an update and then show before and after pictures. 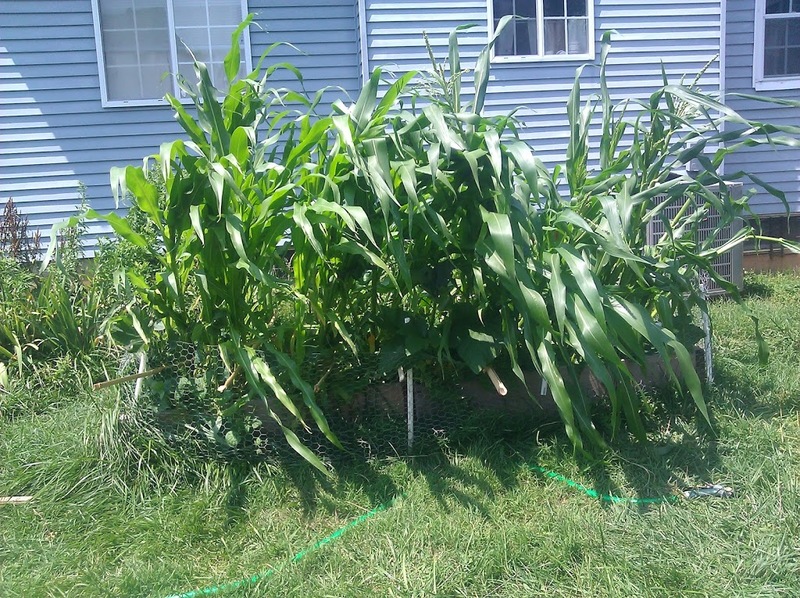 Then the derecho came and all the corn fell down. Tops came off, some are ripped up, some folded in half, and to add insult to injury, no watering allowed. We tried to prop them up by inserting a pole through the fence every foot, but they’re still leaning horribly. Maybe this will save the squash, at least. It was getting crushed under the weight of so much corn. I used the decapitated male corn to pollenate some tiny female corn silk that was coming out, but I’m not sure these sad, leaning plants will live. 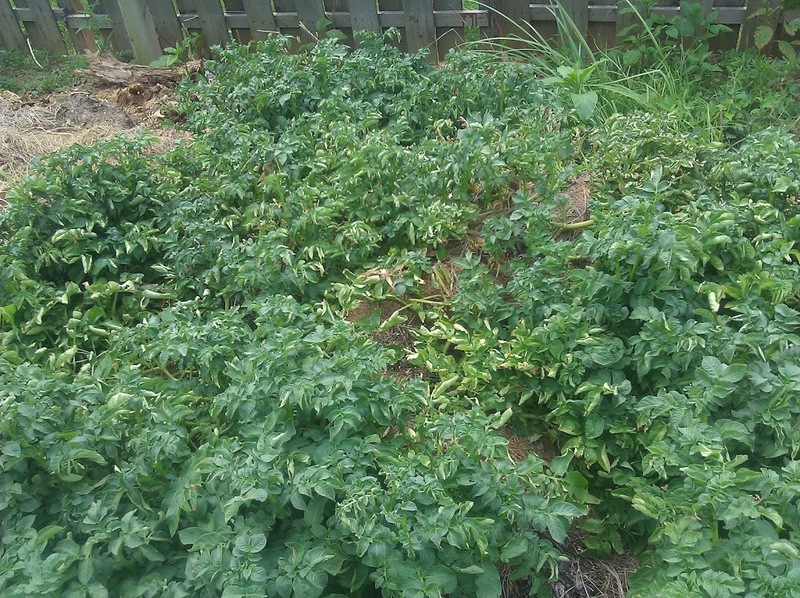 The potatoes are going wild. The potato tower is more difficult. The smaller plants tend to get covered up when I’m trying to cover the taller plant’s stems in order to encourage more tuber growth. I’ve now had several just go limp and slimy and die. I’m not sure what that’s all about. But the healthy ones are growing insanely fast! 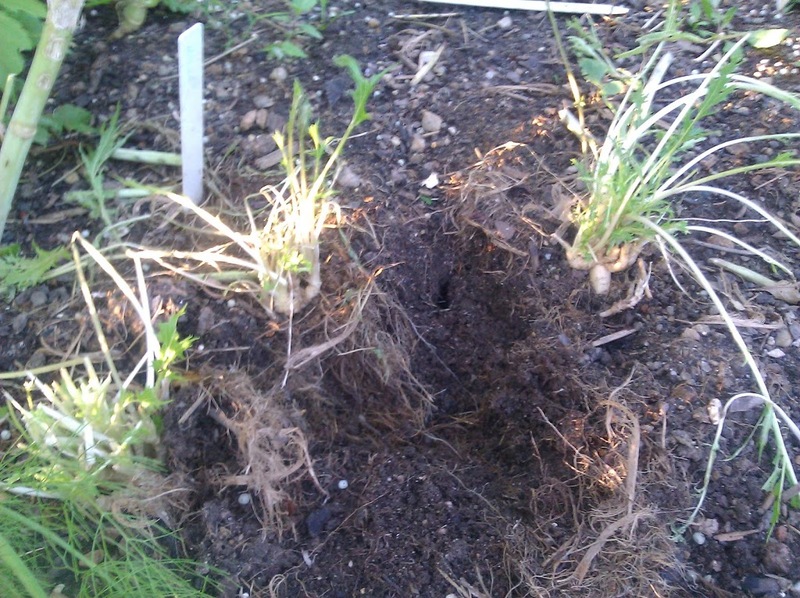 The stupid rodent destroyed my remaining snow peas and kale. 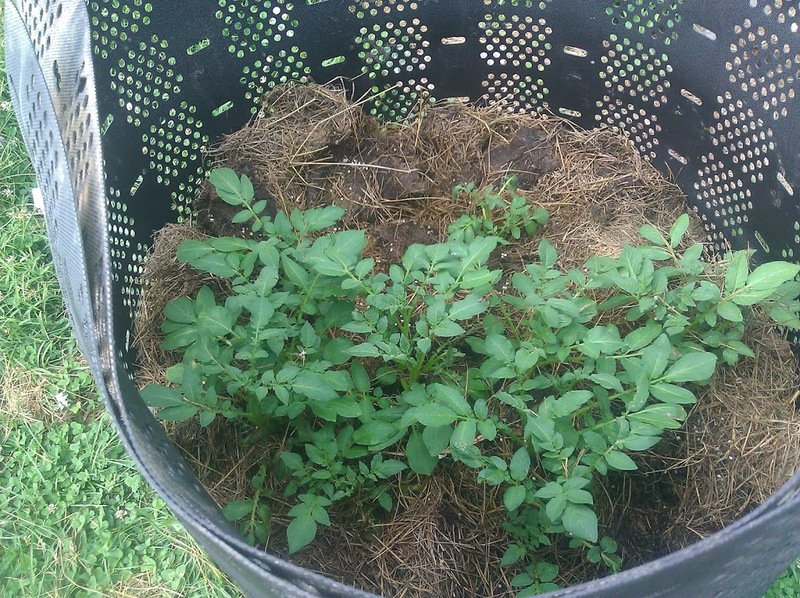 It made a nest in my mizuna plants out of the string it scrounged up. Where the nasturtiums covered the onions they growing quite well. 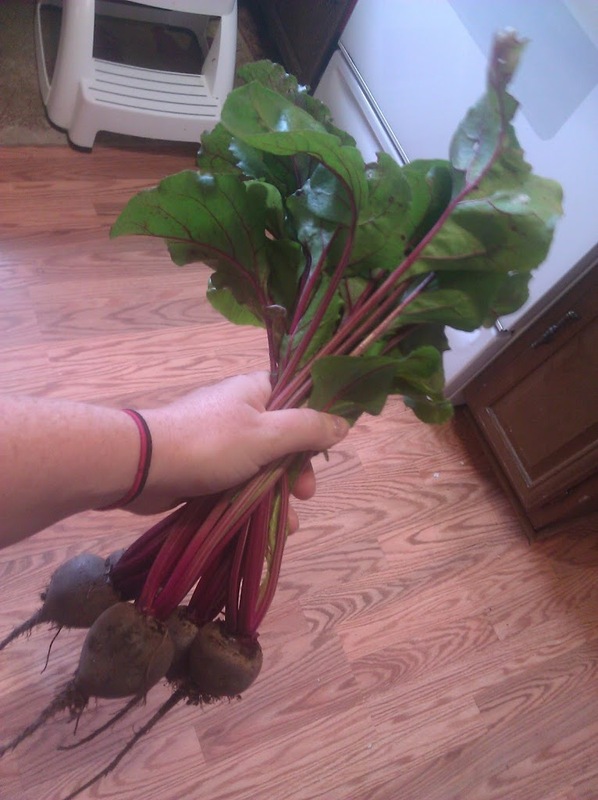 I harvested a handful of beets and gave them away, since I don’t know if I can eat them or not. The lizard got the beet greens. 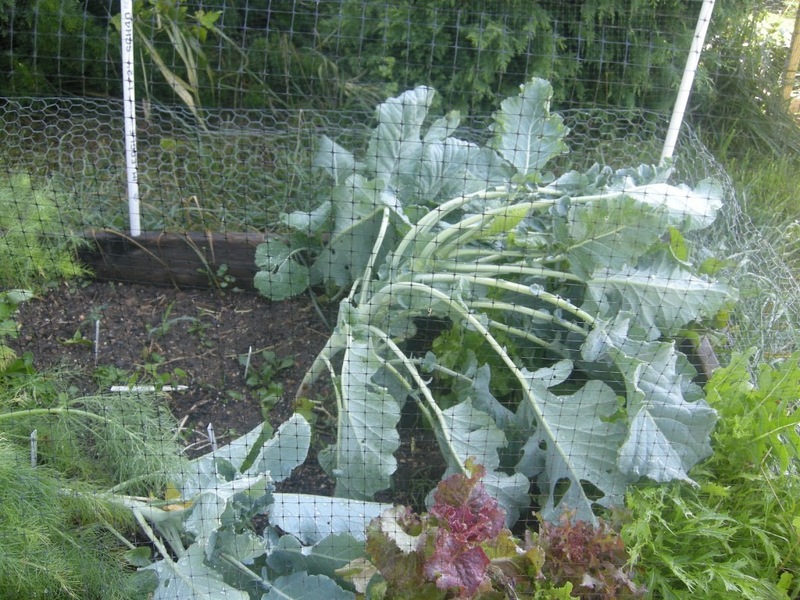 Then the derecho came and it even uprooted my broccoli and some fennel. Then the groundhog got stuck behind this fence (I didn’t even know she could climb in anymore!) 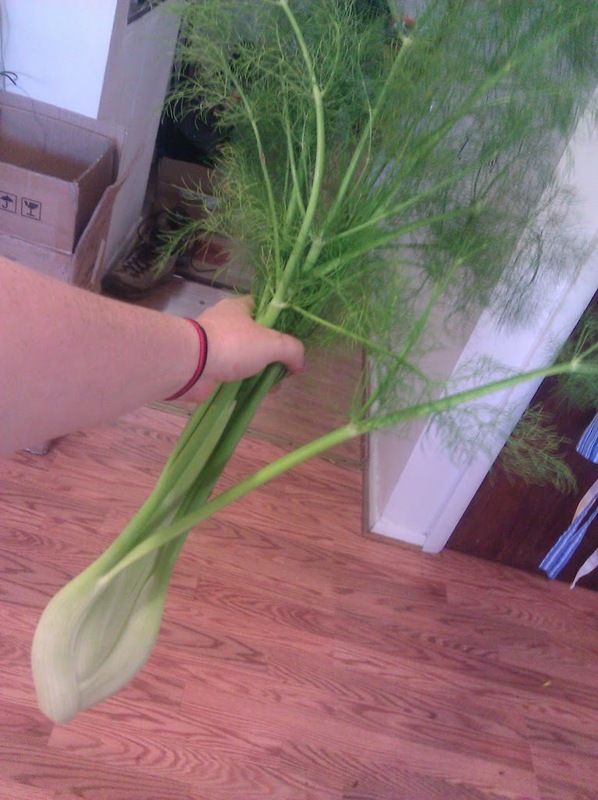 and fell down repeatedly on the onions, celery, and herbs, crushing them. I think they’ll be okay, though. 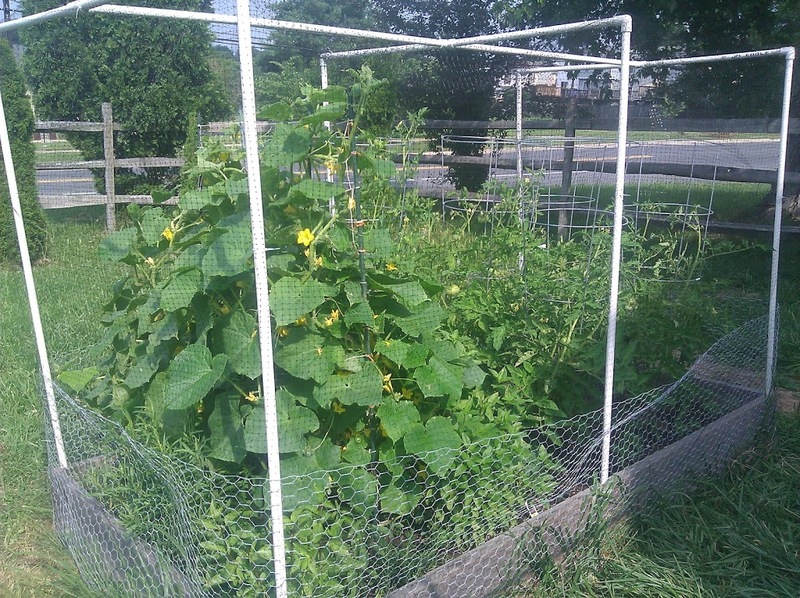 The cucumbers are happily growing up the trellis and the basil is huge. The tomatoes are getting slowly bigger, but the only ripe ones are the tiny ones. They don’t appear to have even noticed the winds — everything is fine. 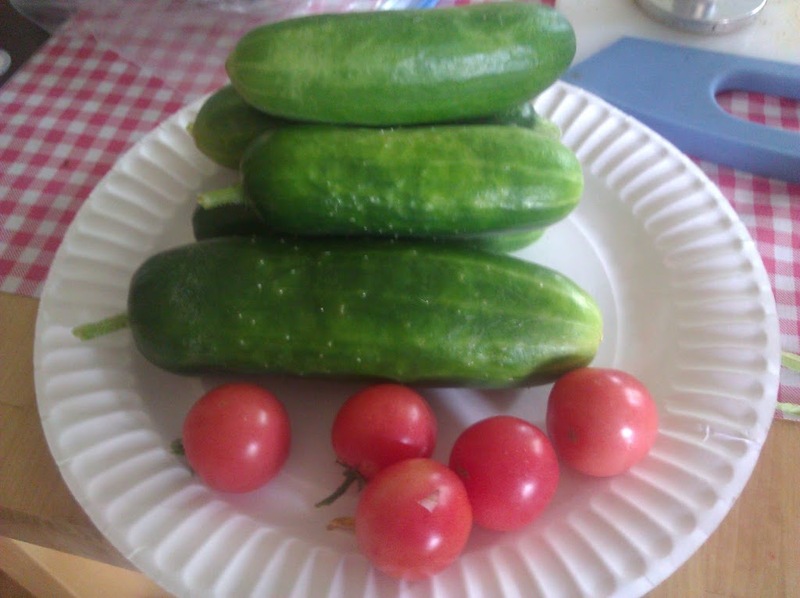 Today I harvested 7 cucumbers and 5 tiny tomatoes. Garden anarchy is filled with very small plants. 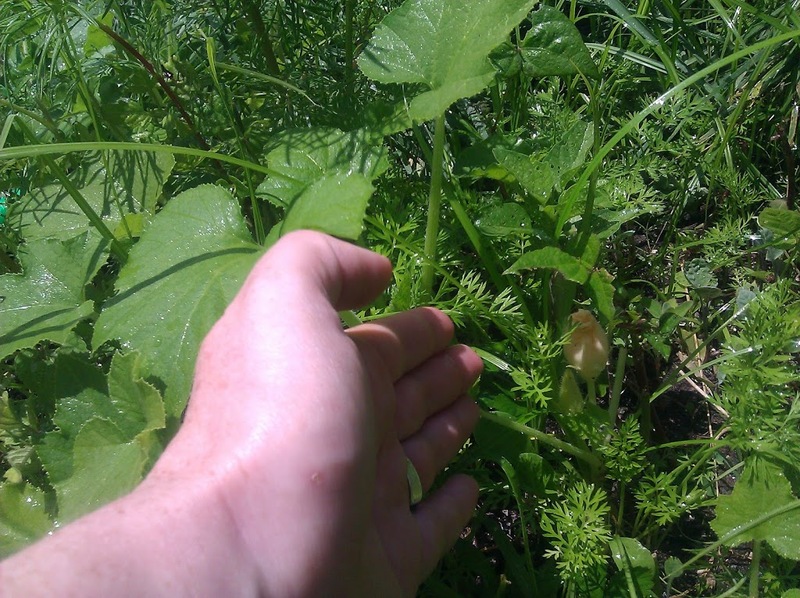 Any time a bean leaf, a squash leaf, or a flower come out, an animal eats them. This has resulted in a sort of a bonsai vegetable garden.